Without question, the US aviation fleet is growing long in tooth. While new aircraft are being built, their numbers are infinitesimally small when compared to the huge number of aircraft the industry pumped out in the sixties, seventies and very early eighties. The bulk of those earlier aircraft still exist, most of them on US registry and the average age of registered aircraft goes up yearly. Today, those old aircraft actually make up the largest percentage of the aircraft population in our country. Yet it seems like I'm always taken by surprise when I run into an airplane that I've known from the past, and especially if it's from a much earlier time in my life. Sometimes it's a familiar registration number that sparks recognition and other times an examination of the logs reveals an event that I remember. Once in a while I even come across my own name in the aircraft log books, a younger me signing off an item of maintenance. I first witnessed this form of aviation reunion early in my flying career. With about the thirty hours in my log book, the last twenty or more being without the tempering benefit of instructor oversight, I had scared myself so many times in the Luscombe that I was having serious thoughts of giving up flying. I decided that before I did I would find an instructor and see if I could get my confidence back. At the time I was working near a little airport in Ohio and I'd brought the airplane over, flying IFR (I follow roads) since navigation was one of the many skills I hadn't yet learned. I inquired at the FBO if they had an instructor that could fly with me in my airplane and they assured me they did and went to find him. In a few minutes he showed up and we introduced ourselves. 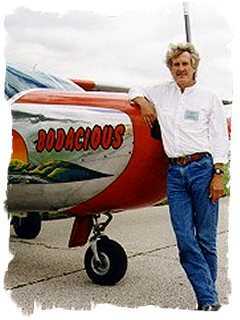 He asked what kind of airplane I had and I told him about the Luscombe and confessed the nervousness that taken over my flying and how I was considering giving the whole business up. He said he had lots of Luscombe time and he'd be glad to show me what a wonderful airplane it is and thereby allay my fears. It turned out later that he indeed did do that. We walked out to where the airplane was parked and he watched as I did the preflight. We had both settled into the cockpit and fastened our belts in preparation for a prop by the lineman, but as his gaze traveled around the interior of the airplane he suddenly asked me to hold on, unfastened his belt and climbed out. I watched as he walked back, knelt down by the tail wheel and carefully examined it. He was smiling when he climbed back in and he told me that he had owned this same airplane many years before, when it wore different paint and a different look, but it still had the custom tie down ring that he had made and installed on the tail wheel. Many years later I owned a Cessna 337 which I had advertised for sale and I got a call from a pilot in California who was interested in it. He owned a Cessna 182RG and wanted to trade it, so after describing our airplanes to each other, we settled on a price difference. I agreed to fly the Skymaster out to meet him at John Wayne airport where we would make the trade. Two days later we joined up on the ramp there where we circled each other's airplanes like old time horse traders, each carefully evaluating the other's mount. After thirty minutes or so of this, we each pronounced other's airplane as advertised. Bills of Sale were then exchanged, I received the Cashier's Check for the difference, and I was soon airborne in my new airplane winging my way eastbound. Leveled out and trimmed up, I started looking around the cabin of my new ride and realized there was a niggling feeling of familiarity. I reached back and grabbed the log books from where they were resting on the back seat and started thumbing through the pages. There on a page in the engine log was my scrawled signature, dutifully documenting an oil change some five years ago. I had sold the airplane to a buyer in Pittsburgh and he had sold it to my customer in California. Unlike the Luscombe, this airplane still wore the same livery that it had when I had owned it, but in defense of my leaky brain, I had owned scores of airplanes since that one had been mine. 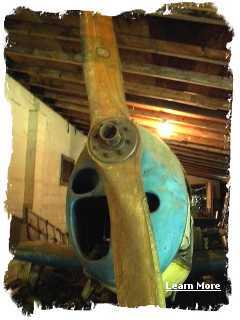 More recently I was brokering a Dakota that was owned by the estate of an owner in the Midwest. I located a buyer who dutifully did a title search on the aircraft before purchasing and the search revealed that there was an old unreleased lien against the aircraft. This often happens when an aircraft is sold and the buyer fails to record the release of lien that the seller's bank issues upon payoff. In the scores of cases where I've been involved with this type of issue, I have never found money to still be owed on the airplane, but rather just a failure to file to file the release with the FFA by the new owner. But it is a hassle to clear the title of these old liens and in some cases the bank has been sold, sometimes several times, and name change documents must be procured and it slows down the closing and is not good news. I was wondering how much trouble it would be to clear this lien when I opened it and found it was a lien from my bank with my company listed as debtor, and the release of which hadn't been filed by the gentleman in Indiana that I sold it to years before. My strangest case of all had its beginning long ago on a summer evening, more than 50 years in the past and long before I became a pilot. It came about when four of my teenage buddies and I had traveled to a remote little town for an evening of chasing girls on roller skates while making left turns. The tiny town's only commercial enterprise was the skating rink which was our destination this evening, and it was operated by a middle aged couple who lived above it. The evening proceeded nicely, with music playing over the loudspeakers and the rotating reflecting ball throwing colored dots of light around the rink and with no shortage of comely country girls to follow. In the course of taking a break from the evening's dizzying activities, my friends and I were approached by the owner of the rink while we rested. 'Do you boy's want to see an airplane?' he asked. As someone whose first words were airplane noises, I was instantly alert and excited. Of course we did, but here? There wasn't an airport or even a landing strip within miles of this place. We quickly doffed our skates and he led us to a doorway at the side of the rink. He switched on the light as we entered the large storage room, and there before our dazzled eyes was a sure enough airplane. It seemed as surreal to me as opening the door of my dad's barn and finding a dolphin. My lifelong obsession (even then) with airplanes and with learning everything I could about them enabled me to identify it, even with the wings off. The ship was resting on its gear with the wings stacked against the wall beside it. It was a Fairchild PT-19, the wooden winged WWII primary trainer the Army Air Corps had used to train thousands of pilots. How the heck had it ended up in a skating rink? The owner explained how it had happened and that was a bizarre tale in itself and one that deserves its own column. We examined the airplane and found it was amazingly original, with Air Corps colors and all the placards that had been stenciled on by Fairchild for the Air Corps. I couldn't get enough of drinking it in and I looked at it over and over again, until finally my friends were begging me to go. Fast forward to over a half century later and a phone call from a lady asking me to sell an airplane for her father's estate. Ten minutes conversation revealed the airplane to be the same Fairchild, still resting in the storage room at the long ago closed skating rink. It was covered with the dust of fifty years, but it still appeared much as it did that summer night all those years ago. A night when my child self had stood beside it gazing in awe, with not a clue to where the future would take me.